Olivia, Lucas and a group of their college friends travel to Mexico for one last getaway before graduation. While there, a stranger convinces one of the students to play a seemingly harmless game of truth or dare with the others. Once the game starts, it awakens something evil — a demon which forces the friends to share dark secrets and confront their deepest fears. The rules are simple but wicked — tell the truth or die, do the dare or die, and if you stop playing, you die. KIDS FIRST! 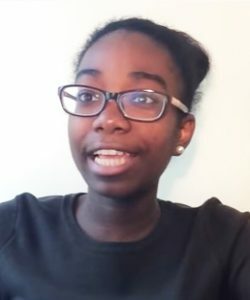 Film Critic Imani B.G. comments, “I am a huge fan of horror and thriller films and was so excited to see the amazing acting and suspense behind this work. 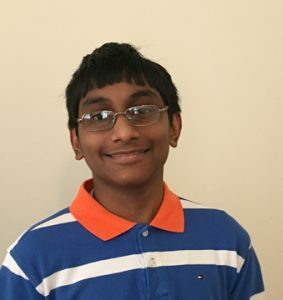 This film offers jump-scares, second guessing and is loads of fun to watch with friends.” Arjun N. adds, “Blumhouse’s Truth or Dare is a somewhat disappointing thriller with lots of initial potential… Fans of thrillers and horror movies may want to check it out but proceed with caution.” See their full reviews below. 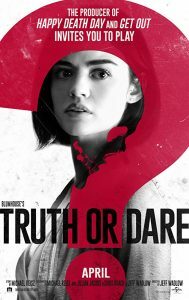 Truth or Dare is a new thriller that has the audience questioning their real abilities and intentions behind the fun-filled game. I am a huge fan of horror and thriller films and was so excited to see the amazing acting and suspense behind this work. This film offers jump-scares, second guessing and is loads of fun to watch with friends. Olivia (Lucy Hale) and a couple of her college friends take a trip to Mexico for a final getaway before graduation. Little did they know it would turn into something more. While there, they meet a stranger who convinces Olivia to play a harmless, fun game of “truth or dare” with the others. The game starts and so does chaos which follows the group back to their hometown, releasing all their deepest and darkest secrets. The rules are quite simple, but fearful: tell the truth or die; do the dare, or die. No one gets out alive if you don’t play by the rules. Or do they? Growing up, my friends and I always played the game “truth or dare” at sleepovers. This movie made me question what secrets are we all hide in this game? If the consequences were real, such as they are in this film, how would we react? My favorite part of this film is how I was able to somewhat relate to the characters. They are all teens, as am I. So, it really had me feeling as if I was in their shoes and made me question what I have done in order to survive. I adore the cast, because each one has something to offer to the character they play. The message in this film is about being honest wit h your friends and family and to trust one another in any circumstance. Olivia and her friends are torn apart towards the beginning of the film, due to their belief about whether or not the game was real. Once their eyes are opened, they work together in hopes of beating the game and surviving. I rate this film 4 out of 5 stars. It has a great storyline, cast and cinematography. I it for ages 13 to 18. I recommend seeing it with a group of friends to really get the full effect. Also, it would be more fun! It opens nationwide in theaters on April 13, 2018 so, be sure to check it out. Think about this film the next time you play “truth or dare” with your friends! Blumhouse’s Truth or Dare is a somewhat disappoint ing thriller with lots of initial potential. However, the acting and direction allow for some fun thrills. Fans of thrillers and horror movies may want to check it out but proceed with caution. 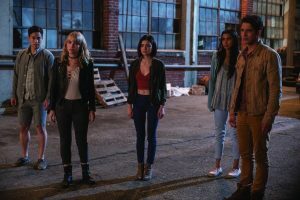 The story follows teenage friends Olivia (Lucy Hale), Lucas (Tyler Posey), Markie (Violett Beane), Penelope (Sophia Ali), Tyson (Nolan Gerard Funk), Ronnie (Sam Lernie) and Brad (Hayden Szeto) on a trip to Mexico. Along the way, they encounter Carter (Landon Liboiron), an amicable person with a dark secret, playing a game of “truth or dare”. This quickly takes a turn for the worst, once the game summons a curse among the friends. Upon returning home, the curse sequesters the friends, forcing them to play a deadly game of “truth or dare” – one which will result in death if lost. Realizing they are all being forced to play the same game, the friends try to find a way to remove the curse. L ucy Hale, as Olivia, delivers a commanding performance as the main lead, willing to go to any lengths to stop the curse. She excels in presenting her unstable relationship with her best friend Markie. Tyler Posey, as Lucas, is extremely determined to save his friends using logic to outthink the curse. Violett Beane, as Markie, is excellent with what she is given, but her character could have been more aptly written. She denigrates a repetitive plot point used to propel her inconclusive relationship with Olivia. Sophia Ali, as Penelope, wonderfully presents her character’s nonchalant attitude to circumstances, until it’s her turn to play the game. Nolan Gerard Funk, as Tyson, prominently portrays a smart yet misguided teen. Sam Lernie, as Ronnie, is the most careless of the group. Hayden Szeto, as Brad, is my favorite character due to his clever comic relief. Landon Liboiron, as Carter, mysteriously presents his character’s involvement in the story. Jeff Wadlow directs the movie with some fun thrills, but also many that are predictable. My favorite scene is Olivia’s first dare for Markie to break her hand. It is well-acted with a visceral intensity. The flaws in the movie are in its inconsistent writing, which completely steal all the potential we see initially. Most of the characters end up in situations that are unintentionally funny. The characters are written to be hate-able and bipolar for the sake of the movie’s plot. The conclusion ends up feeling rushed and used as bait for a sequel. The message of this film is to always be careful of strangers and unknown places. I give this film 2.5 out of 5 stars and recommend it for ages 12 to 18 because of the horror, sexual references and language. The movie releases in theaters on April 13, 2018, so check it out. 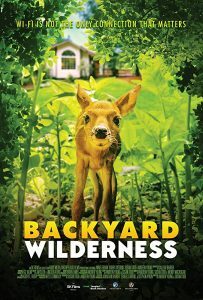 Backyard Wilderness will surprise and entertain viewers with the unexpected wonders of nature that are right under our noses – in our own backyards. Spanning a seasonal year around a suburban home, the film displays a stunning array of unique wildlife images and behavior – all captured by cameras mounted inside dens and nests, and moving along the forest floor and pond bottom, to reveal its inhabitants in rare and breathtaking intimacy. We follow Katie, a young girl, and her modern family living next to the woods who are blind to the real-life spectacle around them, absorbed by an array of electronic devices in their busy lives. Katie gradually discovers the intricate secrets that nature has hidden so close to her front door and we experience the joy she finds in her interactions with this new world. The film reminds us that Wi-Fi is not the only connection that matters and that sometimes in ordinary places, you can uncover extraordinary things that can transform you forever – you just need to step outside. KIDS FIRST! Film Critic Benjamin P. comments, “Backyard Wilderness is a spellbinding documentary capturing magical moments in nature that we rarely get to see on camera or in our day-to-day lives and puts them on a large and intense scale.” See his full review below. Backyard Wilderness is a spellbinding documentary capturing magical moments in nature that we rarely get to see on camera or in our day-to-day lives and puts them on a large and intense scale. This 3D IMAX film follows Katie, a young girl who lives in a house surrounded by a bustling woodland of animals and plants. Katie and her family are oblivious to the fascinating occurrences in the world around them because they are consumed by the technology at their fingertips. At school, she is assigned a report on animals. She chooses the spotted salamander whose whole life cycle happens right outside her house and her adventure begins. The cinematography in Backyard Wilderness brilliantly highlights the beauty and vastness of the forests which are the main setting and leaves you wondering how they were able to get such unique moments on film. The film brings exciting moments to the screen such as when a pack of coyotes chase some deer or when you witness the dangerous journey of spotted salamanders to their breeding ground. My favorite scene is when a group of newly hatched baby wood ducklings exit their nest for the first time and try to fly. You will laugh and cheer at the same time and the filmmakers use a perfect song to score this fun and adorable scene. T he lesson of the film is that there is an active and energetic world around us that is always worth exploring. As a society, we have become so concerned with social media that we forget to notice what is happening right in our backyards. Katie’s life changes when she lets go of her electronics and begins to explore the landscape beside her home. I recommend this film for ages 5 to 12. You will learn a lot from this film about how certain species interact with one another and thrive. It is very educational and has a valuable message. Adults and older kids will still enjoy the breathtaking visuals. I give it 4 out of 5 stars. If you like nature documentaries and the larger-than-life world of IMAX with some cool 3D effects, I highly recommend it. Backyard Wilderness is playing around the country in select IMAX theaters now. In the year 2045, the real world is a harsh place. The only time Wade Watts (Tye Sheridan) truly feels alive is when he escapes to the OASIS, an immersive virtual universe where most of humanity spends their days. In the OASIS, you can go anywhere, do anything, be anyone-the only limits are your own imagination. The OASIS was created by the brilliant and eccentric James Halliday (Mark Rylance), who left his immense fortune and total control of the Oasis to the winner of a three-part contest he designed to find a worthy heir. When Wade conquers the first challenge of the reality-bending treasure hunt, he and his friends-aka the High Five-are hurled into a fantastical universe of discovery and danger to save the OASIS. KIDS FIRST! Film Critic Gerry O. comments, “This film remarkably resembles its subject. Like virtual reality, it takes you into a world which you would never see without the gear. Like VR, it shows the future of technology. Like VR, it has its ups and downs that can be improved upon.” Benjamin P. adds, “Ready Player One is a delightfully nostalgic, modern-day sci-fi classic filled with Spielbergian magic.” See their full reviews below. This film remarkably resembles its subject. Like virtual reality, it takes you into a world which you would never see without the gear. Like VR, it shows the future of technology. Like VR, it has its ups and downs that can be improved upon. Finally, like VR, Ready Player One has the potential to either change everything or to simply bring us back to the past. 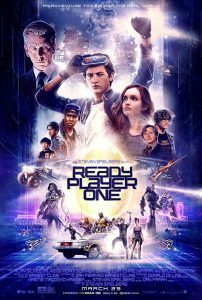 Ready Player One entertains the audience with its adventure-packed explosions that run the plot of the film and add a surprising amount of comedy, which the actors deliver perfectly. Ready Player One’s adventure follows the quest to find an Easter Egg. This hidden object requires a lot of effort as it is hidden in the massive virtual world called The Oasis, which has a land size greater than Earth and access to multiple planets. The value of it makes it worth the search, as the find er gets half a trillion dollars as well as complete control of this massive online world. While many of the independent gamers fight for this egg, there is also a large corporation fighting to make it a money-making opportunity instead of a skill-based experience. To them, the richest should win. The race is on to get the egg and to make sure it doesn’t fall into the wrong hands. My favorite scene is what should solidify this film’s nomination for an Academy Award in visual effects. This scene contains a challenge that unlocks another step in finding the Easter egg. The challenge takes place in the classic horror thriller, The Shining. Not only did I immediately love this scene, due to its dedication to the great mind and creator of The Shining, Stanley Kubrick., but I love it because it visually breaks all the boundaries. Despite The Shining being a much older film, with the sets that probably no longer exist, Ready Player One completely recreates the setting from the film and perfectly places the characters’ avatars in that world too. Just like the films Star Wars and Avatar, which took your breath away because of ahead-of-their-time visuals, this film and specifically this scene does as well. Ready Player One excels at bringing the visual world that Ernest Cline describes in the book to the big screen. The surroundings and the story are packed with references to different movies, comic books, games and TV shows. It would take months of constant replay to catch every little detail, which defiantly will delight the fans that are craving nostalgia. The CGI really is what makes this movie stand out. Despite it being branded as live action, it has more runtime in the completely animated environment than it does in live action. However, these visual scenes do not look like the standard animation of Pixar. They look and feel, unmistakably like real life. In a way, Ready Player One fails to portray a virtual world, because it looks so real. The acting has its ups and downs. Inside the Oasis, where acting relies primarily on voiceover and basic body movement, it excels. Outside, where the actors are left to the task completely on their own, they feel rather flat and somewhat monotone. The romance that runs throughout the story feels somewhat forced, partly due to the acting and partly due to the story. Interestingly enough, the romance feels more natural in the virtual world, than it does in the real life. The score of the film is one of the many pleasant surprises. Without the video, the score would still leave audiences satisfied. It does not quite reach the masterful skill of John Williams, but Alan Silvestri, known for his soundtrack for the Back to the Future series, creates beautiful harmonies that sound incredible. The book and film differ quite a lot in a positive way. While the book (one of my favorites) is a joy to read, in many ways it would not translate well into a film. For that reason, while the main story barely changes, the actual events are structured much better for the movie and make it much more interesting. Instead of watching a person playing a game, the viewer is offered an opportunity to watch someone jump over zombies in a ballroom. The book has mainly 80s references, but the film mixes it up much more to include references from the games and movies that became popular in the last few years, which really allows the nostalgic adults, as well as the kids, enjoy the film. Even though the messages and possible future is shown in Ready Player One should be shown to kids, there are some things that are a bit mature. For that reason, I recommend this to ages 10 to 18. Despite some issues with acting, it makes for a great adaptation of the book while keeping important messages in place. The biggest accomplishment would be the mass scale of the lifelike CGI that truly makes you believe you’re in the virtual world of the Oasis. I give this film 4 out of 5 stars. Ready Player One is a delightfully nostalgic, modern-day sci-fi classic filled with Spielbergian magic. Based on Ernest Cline’s bestselling book, Ready Player One follows Wade Watts, a teen living in dystopian Columbus, Ohio in the year 2045. Like much of the population, Wade plays the OASIS, a multiplayer game in an expansive virtual world created by the eccentric James Halliday (Mark Rylance). When Halliday died, he told players he left a hidden Easter egg that will win control of the OASIS and his shares in his company Gregarious Games. A malicious corporation called IOI wishes to turn the OASIS from an imaginative escape to an ad-filled wasteland. Wade’s avatar Parzival teams up with his friend Aech, his crush Artemis and a pair of best friends named Shoto and Daito, to take down IOI by finding the egg before the company does and foil its evil agenda. Ready Player One, true to the book, is full of 80s pop cultu re references from Halliday’s early life and his icon status. At the same time, much of the film takes place in the video game and is visually vibrant and futuristic. Steven Spielberg brings the OASIS to life very well. He sneaks in visual gags from Robocop to Street Fighter. The OASIS has an insane color pallet that totally matches the idea of what that virtual world is. There is a lot of CGI used, but it is necessary to tell the story and the characters’ avatars look very realistic. As a huge fan of the book, this film adaptation still holds up for me. Quite a bit of what happens in the book is different on the big screen, but fans should not despair because the film remains true to the book’s main themes. This film is also very funny. The entire ensemble gets great one-liners. This is refreshingly different from typical sci-fi and it makes the ride through Ready Player One even more fun. I give Ready Player One an age rating of 11 to 18 for some language and heavily implied violence. Older kids and adults will enjoy the film’s crazy visuals. I rate Ready Player One 4.5 out of 5 stars. This film is excellent and I recommend it for anyone who is a fan of anything pop culture. Whether it is music, film, video games or anime, Ready Player One has something for you. This film opens in theaters March 29, 2018 so check it out. All photos courtesy of Warner Bros Pictures. 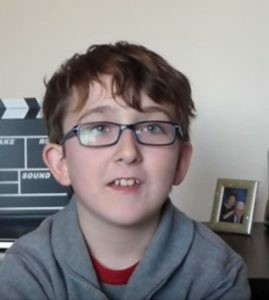 You are currently browsing the KIDS FIRST! News weblog archives for April, 2018.